Usually, a wedding's main focus is on the bride and groom. 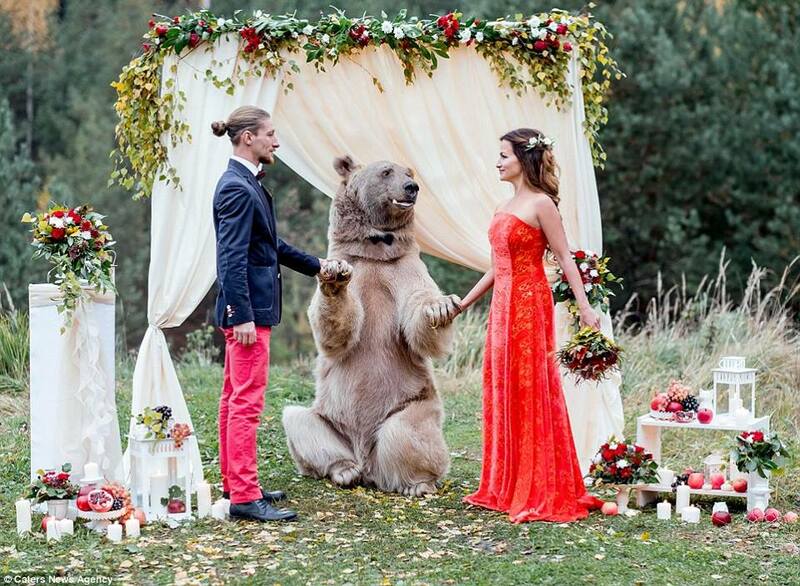 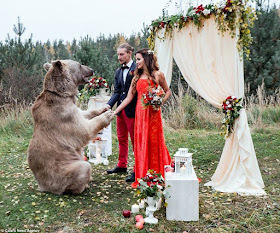 However, one couple were upstaged by a huge brown bear that they invited to be a part of their special day. Denis and Nelya, both 30, from Moscow, Russia, hired 21-stone Stepan to play the role of ringbearer - and he even turned up to their ceremony wearing a black bow tie. 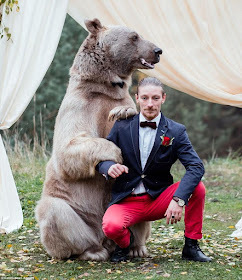 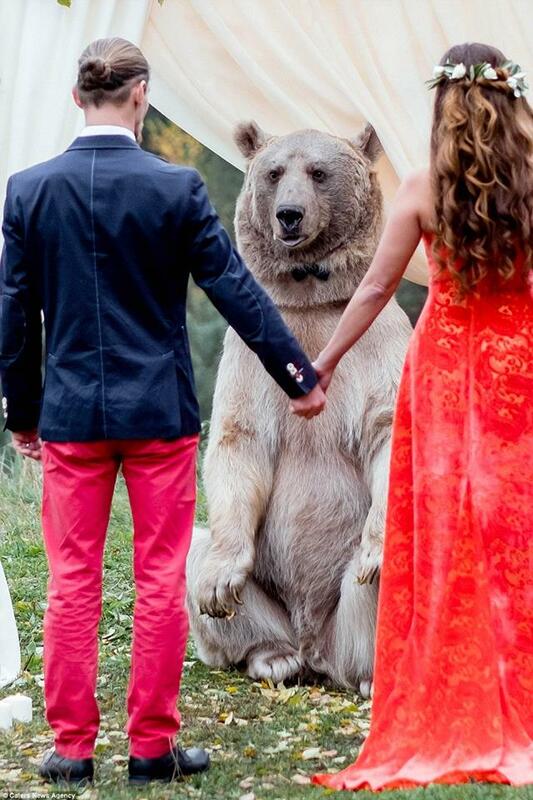 The bear, which stands seven-foot tall, was very involved with the ceremony, even posing for photos with both bride and groom.